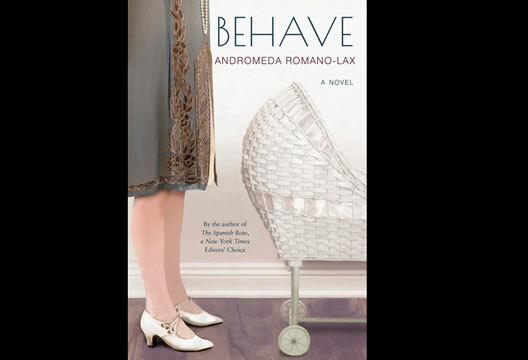 'Behave', by Andromeda Romano-Lax, reviewed by Lori Appleyard. Behave is an interesting exploration of the life of Rosalie Rayner, second wife to the controversial Dr John Watson. Psychology was a new science in the beginning of the 19th century, and, despite the controversy, Watson is considered a pioneer in behavioural psychology. Behave highlights their famous ‘Baby Albert’ experiment, which was an attempt to prove that fear is a conditioned response to stimuli, through methods that make uncomfortable reading. Science constitutes only a small part of the book, which quickly turns in to a romanticised tragedy, with a young woman’s hopes and aspirations quashed by her commitment to meeting her husband’s expectations. There is a strong theme of ambivalence surrounding Rosalie’s marriage and life choices. Dr Watson is portrayed as dominant and ruthless, yet fragile, something which elicited mixed feelings in me, too. There were moments when I found myself frustrated by Rosalie’s choices to end her career and education, her submission to raising her children under strict behaviourist principles. Historical information about Rosalie Rayner is limited: she has few publications and there is not much known about her. Despite being fiction, this book gives a voice to the woman behind the ‘Father of Behaviourism’.